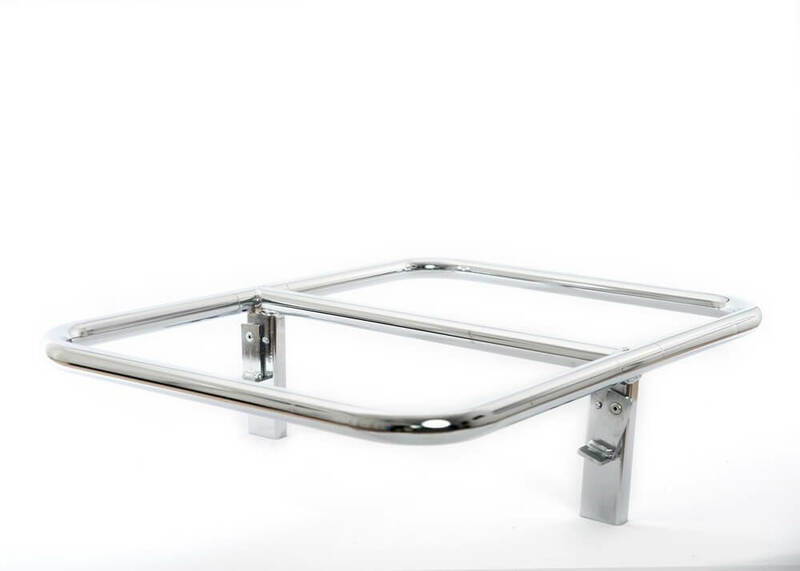 The heavy duty frame drops into place at either end of the Slimfold 6 and overhangs a reserve standard size hotel pan. 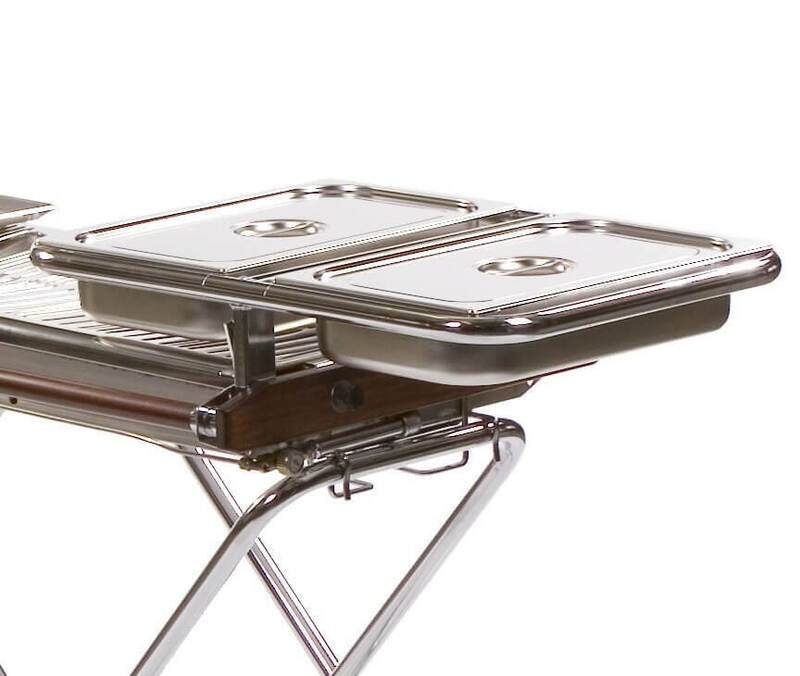 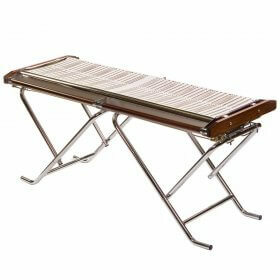 It also suspends a second pan above the hot grilling surface, offering tremendous versatility. 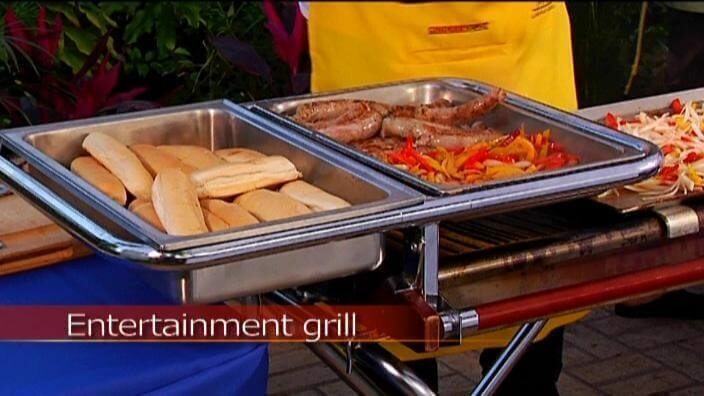 Benefits include hygiene control of prepared food from kitchen to customer. 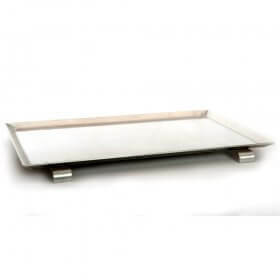 Two Pan Supports and one Flat Griddle convert the Slimfold 6 from a grill to a buffet line at minimal extra cost.